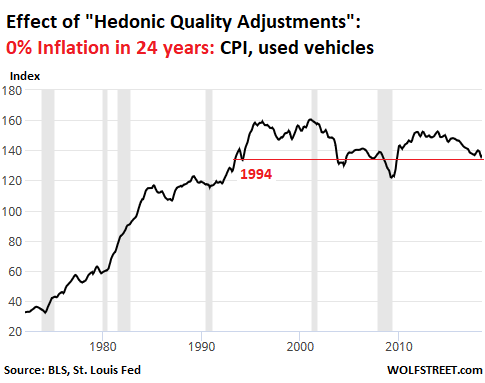 This absurdity of 0% inflation since 1994 is caused largely by the BLS’s relentless and passionate application of “hedonic quality adjustments,” which adjust prices for the costs of a model’s new equipment and quality improvements, such as, to quote: reliability, durability, safety, fuel economy, maneuverability, speed, acceleration, deceleration, carrying capacity, and comfort or convenience. It’s amazes me Elon could do it, inclusive of the subsidies. Driving a 2003 Honda CRV best car I ever owned. 30 mpg on highway. Every switch, every function of the car works. Nothing on the 15 year old vehicle is not working. Trans is even smoother than it was new (now 160,000 miles). Original brake pads went 61,000 miles. Second set at 121,000. Also, the car will not testify against me in court, like all new cars. Or be turned off by our friendly government in the future, to restrict movement during “social chaos” situations the government has caused. What do you mean about car testifying or being turned off? newer cars have the equivalent of an airplane’s “black box.” some advanced designs like tesla’s have connectivity to the manufacturer. in theory, they could shut the car down remotely. Not to mention all the “leet kidz” out there who like to hack cars … OK these days it’s 40-somethings writing for sites like IEEE Spectrum and Ars Tecnica but the info’s definitely out there. OnStar in GM cars has been turned on remotely by the FBI and recorded conversations used as evidence. I believe the newer version of OnStar is always on and can be used to slow a car down to 5 mph. I bought a 2004 CR-V. Ran it to 110,000 and then my youngest daughter inherited it when she started college. When she was a wee bit I called her “crash”. As she grew up she would break everything she owned. It was an exasperating trait. She is now 26, the CR-V has 190,000 miles. I still do all the work (brake jobs/oil etc) on the vehicle for her. The car is rust free (PA winters with salt and brine), it still drives and handles and runs like it always has, it has never broken down and the ONLY item I have had to fix/replace was an O2 sensor on the exhaust. By far the best car I have ever bought. They must be stretching out the payments with longer terms on used. And maybe cutting down payment requirements. Here in Metro Detroit leasing has been king and late model used NEVER beat leasing with conventional loans. P.S. Forgot to mention : plates and registration on the 2003 CRV were $60.11. Insurance is about $450 year. i read an interesting piece by jack baruth recently where he analyzed the psychology of used car prices. the upshot is that most people decide used or new before they shop and will often pay almost as much for a used vehicle as they would for a similar vehicle new. New car prices are so much higher now compared to the median household income than they used to be. People can’t afford a $35,000 base model even if they finance it over more years. Used cars are much cheaper they can simply be scrapped if the repairs cost more than the car’s value. Car makers should focus on creating autonomous vehicles that drive around constantly to pick people up and drop them off as an Uber would instead of adding more bells and buttons to drive up the selling price. Nevertheless modern life in America compels people to own a vehicle, so they’ll get one or two even if they have to go into debt. US transportation and urban planning policies have aggressively opposed mass transit and other alternatives since the 1930s. As much as a vehicle costs you’d think people would drive better, as if they have nothing to lose, when in fact they have nothing to gain. I just want to get there with as little drama as possible, and preferably none, but too many people drive like they’re in a NASCAR race with no end and no prize. Musk wants to build classic Atari games into Teslas, as if the country has any real need for game arcades at highway speeds, thereby obliterating the last remaining shred of respect I had for the guy. A guy who puts gull-wing doors on the rear half of a car has just no taste. My beginning interest in a Tesla car died right there! There was a good bit about that on Silicon Valley. Tom and Ray from Cartalk used to address this issue and said you were almost always better off fixing something you already own, even if the repair cost exceeds the vehicle’s value. We have a 1995 Ford Explorer that needed a transmission and a couple of other things – cost was ~$5K IIRC, on a vehicle worth maybe $2500 at the time. We did the repair and now 7+ years later we’re still using it as a daily driver. No hurry to replace it – serves our purposes just fine. Probably good for another 50+K miles. YMMV. 1997 Ford Explorer. Bought at tax auction in 2008. Current mileage 187,000. Regular mainainance done with $1500 in unexpected part failure. My goal is at least 225,000 miles. It would be nice to upgrade to a 2015 auto, but there is no incentive. It is nice to have no payment and minimal liability insurance. Problem is most Americans can’t come up with $500, much less $5,000 to repair a car. The affordable vehicles also tend to be more in the segment with better fuel economy which is becoming more important with the current gas prices. Paid off early my 2014 Tacoma. Will drive it till the wheels fall off or I die. Paid $13K by check for my 2002 Tacoma. Will drive till…etc. 4cyl/5speed, 2WD, normal tires., 80K miles What are they charging now, $36K ? Of course, the Tacoma is bigger now. Supersize me! If the wheels are falling off, swap your wheel hub and bearing. If you go to a junkyard, just purchase the whole steering knuckle or knee and replace any bad parts on it before you put it in. Then you can drive the Tacoma even after the wheels fall off! My 2006 Prius has 120,000 miles on it. Runs perfectly. Everything (including brakes) is original. I change the oil every 5000 miles. Property tax was $129 this year. In 2006 there were federal and state incentives to purchase – no state sales tax (6%) and a full federal tax credit for the purchase price ($29,000 – paid cash). You got a $29k rebate on a $29k car? Hybrids and other battery-dependent cars may have very expensive battery replacement costs, limiting the longevity of those otherwise cars. Prius owners and others may have to let the cars go to scrap or part them out rather than springing for some expensive replacement battery. One hopes that tech advances will extend to such parts. If you say so. Personally I will never go back to a normal ICE vehicle. Ever. The luxury cars have rocketed in price but the sensible vehicles are a bargain. New Elantra’s going for $12k. Escapes going for $16k. Caravans going for $18k. You have to buy the base model to get the deal. Base model always includes AC, power windows, Anti-lock brakes, etc., so what more do you need? -> Base model always includes AC, power windows, Anti-lock brakes, etc., so what more do you need? Decent roads. Once they’ve been privatized they’ll get even worse. After that you’ll need a free strut replacement option in your purchase agreement. Curious where you’ve seen a new Escape going for $16K – everything I see is way more than that! I remember seeing that advertised in Seattle about 5 months ago in the Sunday paper. I assume its the lowest price version they make. They may have had rebates at the time. That price stuck in my head because it seemed like a great deal. Some people say they don’t sell them for the price advertised in the paper, but they do. You just have to be adamant with the sales people about paying the price advertised in the paper. Today, I see the best deals on Hyundai sedans. Sales are down 25% across the board, so they are dropping the prices like crazy. I don’t see great deals on their SUVs like the Santa Fe though. They are selling OK.
Often, the dealer will have exactly ONE at that price, and it’ll be sold before you get there (no matter when you get there). Good point with the electronics and hi tech stuff. I bought a Fiesta with the three cylinder engine for 15K with a 100K warranty for that reason. For the first 100K miles it is Ford’s problem……not mine. That is why you see the used prices for BMW and Mercedes crashing. The electronics are incredibly expensive and basically non repairable. People buy them new or lease them because no one can afford to repair them. And at least around Boston, there’s a LOT of them! Can’t believe the number of people driving BMW, Mercedes, etc. And some of their lower priced (haha) crap is piss poorer size, comfort, and performance than a simple Camry or Accord. All ego and show today, crusher tomorrow. I find older (2000-2008) used cars with low mileage to be the best bargains. Here’s a bit on the affordability issue – and related to prior thread too – this is link to a graph of total consumer debt (which banks call “credit”) divided by total gross domestic product. All-time highs. As for high used vehicle prices in a context of diminishing new-vehicle sales – with rates rising and debt levels at historical max, interest payments are going to squeeze many consumers. Not to mention the cash flow squeeze from high rents, high home prices, rising fuel costs and generally high inflation everywhere else. The only saving grace would be wage inflation, but the Fed’s on the warpath to protect the rentiers from the workers. I think Wolf is right that the hedonic adjustment stuff is nonsense, particularly for cars, where the frills are not central to the value of the product. On the other hand, vehicle price inflation hasn’t been all that insane. My Honda Accord Index shows ~2% annual inflation from 2002-2018 for the mid-brand “EX” flavor. Every time these car and truck articles come out on a website, all the “my 19** (insert brand) (insert model) is still running strong at ***,*** miles and I don’t have a payment”people come out of the wood work. I sell cars for a living, about 300 a year give or take, so I’ll be the expert in the field. You guys/gals are all non-sales. Every time. I don’t even waste time attempting to work with you because you truly are not customers. So your views on the market are completely warped and thus not reality. REALITY is that people will pay whatever they can to get a new or used car because it makes sense to them. 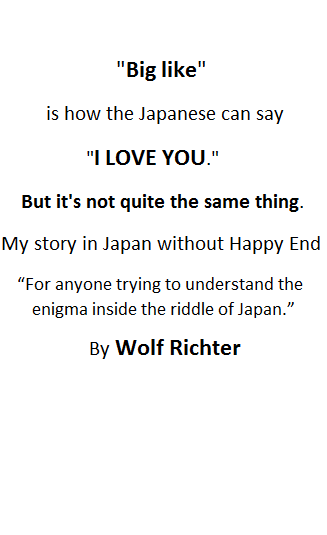 Wolf’s article yet again is providing great facts. It doesn’t have to make sense. Just like his Tesla article. People will buy Tesla even if Elon was walking to death row. People are tapped out to a degree, sure. But I don’t know very many customers that literally can’t afford 300-400/month for a lease or a decent used car. The straight up fact is that ZERO PERCENT , flat out ZERO PERCENT of customers want to drive a banged up used 1998 Honda Civic. They drive it because A) they have to (us or the bus theory) or B) because they’re cheap skate mooches. People like brand new cars. They will PAY for the new car. 78 months 760 a month for a new truck I just sold and it is just bad to the Bone. Would I pay that? No. But someone just did. You can’t quantify the want to buy a car. I’ll put up my hand to “B”. Current car 11 years old; previous one 17. I smile when I see neighbours & people I know in the latest new & expensive car – knowing I have far more assets then they. And I quite like my (slightly battered) old car in the driveway, less of an attraction to burglars.. I mean, if he’s driving THAT nothing worth taking in the house. The car salesman’s friend – I am not. Think it would be better to say “a lot of consumers dont or cant quantify their want”. I think, a huge part of this and the consumer debt article, plus what people are saying about their favorable used car purchases, is pointing out, that consumers are putting themselves into bad economics situations by not quantify their wants; and you have clarified this. I like hearing the stories of peoples smart purchases, they should be shared even if its buying a 6 month old used car. My buddy earns half a rock in annual income and has a 2002 Jeep in the driveway. He reckons it best reflects who he is. (Admittedly his wife has a new car). I reckon he wants to distance himself from all the new arrivals buying new Mercedes with laundered money – but that is a conversation best unspoken. Yesterday I met with a client who drove up in a brand new 2018 Lexus RC 350F AWD coupe. His previous car was a 2016 Lexus GS 350F AWD sedan. Both cars were/are leased, and my client is much like me, he likes to drive nice functional cars. I asked him how he likes his new car, and he just smiled. There was nothing wrong with his two year old sedan, but since he can afford a new ride, he trades up every two years. I would enjoy driving that, or a new RC F with a V8 under the hood, and I could write a check for either, but I drove up in my mint 1995 SC400 which I purchased 4 years ago and have under $12,000 total into (purchase price, taxes and performance components). That sums up two different ways of doing pretty much the same thing, and my client and I are both very content with the results. He does have the edge in driving a new car with full warranty, and I have an edge in not spending money every month to make the payments. High used vehicle prices make it cheaper for your client to lease new vehicles. Government auto industry rescue deals always support the used market with liberal financing. The well-off win, always. Definitely NOT a moocher here. I drive a 31 year old Toyota 4X4 PU, and continue to do so because it works great. I use it once per week maybe, so why would I need anything newer? My wife drives a 2009 Yaris. What does this mindest do for us? Well, I retired at 57 and my wife at 55. Could I buy a new car? Absolutely. Will I? Not likely as I plan to stay retired. :-) (6 years and counting). Car buying fanatics, go for it. It keeps people working. Folks trade their finite lives for money. I have yet to see a tombstone or obit that says, “He always drove a newer vehicle”. However, I often see this one, “He lived his/her life to the fullest”. Stuff is just stuff; meaningless fluff. I posted above about my 190,000 mile CR-V. I prefer frugal. I am not a mooch, as my frugality ensures I have money available if I want or need something. My frugality also taught me how to wrench on cars so I don’t have to pay mechanics as well. I also make a very decent salary as an ICU RN and could afford a nicer car (mine is a 2006 Xterra with 140,000 miles). I must admit, at 53 years old, the wrenching is becoming tiresome, but I just can not bring myself to pay someone when I can do it for free. You forgot people in option C, who know new cars won’t bring true happiness, and people in Option D, who aren’t attracted to shiny objects like wild animals and fish. I’m going with Option C as well. I currently drive an 8 1/2 yr old Lexus Hybrid, 80K miles, original brakes, 3rd set of tires. Regular oil changes, tire rotations, etc. Maintenance is everything. While I agree that people love new cars, most just have a problem with the difference between need and want. If someone determines who I am by the car I drive, I know I’m better off without them. My father taught me 2 words that have made sense all my life: Cars depreciate. My guess is later Sept we see deterioration in the used and further erosion in new. Fed will raise late Sept which won’t help. Move the metal while you can because the next down cycle is going to hurt more than the last one. You must be damn good at that you do. 780 for 78 months, sub-prime to boot? Congrats. I always buy new because when it’s time, I don’t want someone else’s crap. But even after 15 years I still look for the absolute least in options for what I buy. You want to knock off double digit percent on some bling lot rot dog I can compromise on I’ll spend more than 20 minutes. A recent newspaper ad from a Chrysler dealer featured very nicely equipped new 2018 Pacifica and diesel Ram trucks for about $20k, with multiple units available at that price. Those vehicles are not for everyone but with extended warranties will be economical to operate for the duration of most loans. Not bad for someone who wants or needs a large vehicle. Current FORD 6 cylinder runs on LPG second motor and box 550000KM = 340000 miles personalised panels hail storm ,personalised front pannels thanks KANGAROO , 17 years old suits me just fine only a few more payments and its mine ALL MINE!!!!! Sounds like people have finally caught on to the fact that–since almost any newer, reasonably well-maintained (oil changes) car will go over 100K miles without any major problems–it makes much more sense to buy lightly used and let the original owner take the huge depreciation hit. I’ll be the record holder cheapskate here. I drive a 20 year old car with 465,000 miles. Tags are $29/year. If I have a major failure, I will most likely jump on one of those year end closeout $14k sedans. 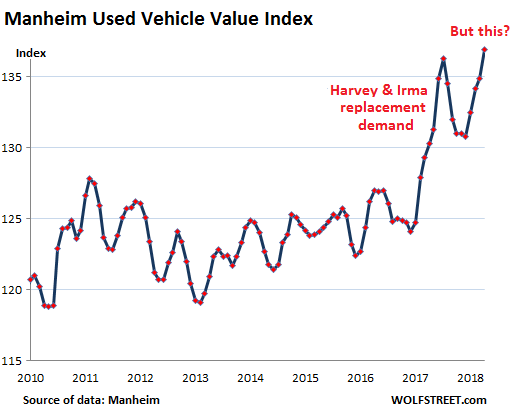 I have an anecdote that matches the data from Mannheim on used car prices. Last month I sold a 12 year old Lexus Hybrid RX SUV. The interior was ugly. Wife used it and she was a slob about keeping that car. Leather was discolored from sweat stains, dashboard cracked up, and carpets all dirty. 2 of the tires were almost bald. She had done oil changes about once a year but never kept records. Listed the car at KBB retail price on Craigslist and phone blew up within an hour. Vehicle sold by noon with cash in my pocket. The average used car sells for $20k, now that’s something. Perhaps new vehicles are under priced? As I commented once before, cars are ridiculously expensive. Cars operated at 50 mph will be operated for just 2000 hours and reach 100k miles on the speedo and we throw them away. 2000 hours is 3 months operating time. 25 mph would be six months, and then junk yard. Nevertheless – Someone actually managed to successfully use car engines in combined heating and power plants for decentralised applications. They use Toyota engines. There is a service interval of 10000 hours. The 2 last car deaths I had, were not the engines failing. They were the brakes being worn out (both cars) and the chassis cracking (one car). First time, I replaced the car with a similar one (Citroen). Second time, I realised this was probably a mistake (same failure mode) and got a 2-year old Toyota with the factory warranty on it. That car has never failed. I never had any surprises at the service. It always costs what they say it costs. So, I probably stick with the brand. I don’t care so much about cars so I just let the garage do whatever maintaining is scheduled. Yep, sounds familiar. I believe GM has a minimum dyno requirement of 10k hours on V8’s which includes heat cycling of course. I don’t recall the duty cycle used but it’s more severe than most auto engine will experience. Probably more like 4,000 hours to reach 100k miles but a FI motor and transmission should easily reach 8~10k hours if it’s a decent design and cared for. The problem most of the time is, they’re not cared for and that’s where buying used can get you into trouble. High mileage can be a good thing if it’s mostly at road speed and not metro stop and go, b/c there’s much less wear in that case. Not always. What you should really do is go on the incentive section of Edmund’s and see exactly what incentives are available for a car you are interested in. Sometimes even if there is a rebate for financing it might still be worth going cash if say there is a lower cash rebate but a better interest rate from your credit union which would work out to more than the difference in the two rebates. It’s a big purchase so you should do the math. Also, you might discover an incentive listed you didn’t know about. Good point, however the rebate I was speaking of is the money the dealer gets from the bank for writing the auto loan note. I’m not sure, but I think the dealer can get a couple points on the loan, depending on the APR. $25k financed @ 2 pts = $500 in extra profit for the dealer. If they know you are financing and don’t care about the rate, you should be able to nego a better price on the car. Own a 2006 A6. Nice car. All options. Runs great. Changed tires once. Its value is 0.05% of my net worth. That’s how I define a great car: it’s paid off. I want a new truck. Sometimes get the urge to drive into the dealer with the old beater and leave with that 76 month loan. Never do it. Too coward. Those that go all in on the condo and fast car, I admire their courage. Prices for used cars swing up and down every other few months like a pendulum. Right now they’re climbing. People need nice rides to pull up at parties. A couple months ago was a good time to buy. So much for the proclamation some months ago, that a GLUT of cars coming off leases would cause used car prices to plummet. Used cars on Carguru’s, are mostly CRAP at prices below $15k. Its ridiculous. Better to wait for massive OEM discounts, which are happening in spades now, where new car can be had very cheaply, and then get zero percent financing, and keep the car for 20 years. P.S. Stay away from all the small cars that have the CVT’s these suckers go in less than 70k miles now, even on the Toyota crapolla. Better off going with a mid size like a Camry. Or better yet ride a bike, and use Uber when it rains or snows. For some of us, the issue addressed above, in early comments (See Mark, alex, safe as milk, Harrold, etc., above.) is a very big issue: that is, the black boxes etc. in newer cars, that allegedly record all driving activity, and so on, and so on. …just wondering whether the patriot act had anything to do with this…. So you might as well add a “C” category to your list of non-buyers, which is that group of drivers for whom the black box in the new car is reason enough, fondness aside, to keep servicing, repairing, and driving our old wheels. I see a category “C” had already been added, sorry. Maybe category “P” for Privacy ? I have been driving for 40 plus years and have never spent over $1000 on a car. Most of the repair work had been done on those old beasts but the owners couldnt deal with the little idiosyncrasies by then (back window doesn’t open, frame guard rumbles, knob on stereo is lost, etc) but many of them have a great drivetrain, engine and maintenance work. I get at least 5 or 8 years out of the jalopies. My cheapest cars were freebies off of craigslist (“If you can get it running , heres the title”). Most run in the $200 to $500 dollar range, I rarely had to spend anything on it for at least a year or two. Then, provided it ran safely and passed inspection, I never put a dime in it past minor maintenance. One time a friend and I had a contest over who could put the least amount of money into a car safely. He had an S10 pickup he got free, I had a Toyota Celica convertible I got for $200 in a shadier part of town. He drove his for three years, no repairs needed. I drove mine for three years, no repairs needed. We drove these to work daily and on long trips mind you. On the fourth year he had to put some front end parts on to tidy up the sloppy handling after it hit 400,000 miles. My Toyota was still spinning like a top at 325,000 but the spouse said sell it because it will eventually need work and it was ugly. So I sold it for $400. Americans are narcissistic and material possessions seem to be an extension of their egos. When the next Greater Depression hits, its going to be all one can do to eat, never mind drive fancy or new cars. Put your priorities in order. Put your money toward future necessities, not pretty cars. As Guy McPherson says “Let go or be dragged”. ..
Well said, if the average person thought this way society would be far better off. This is more proof of how in the last 30 years, a growing gap has become obvious between government reporting of inflation, as measured by the consumer price index (CPI), and the perceptions of actual inflation held by the general public. The numbers government pumps out today are the result of changes made in the 1990s when political Washington moved to change the nature of the CPI. The cuts in reported inflation were an effort to reduce the federal deficit without anyone in Congress having to do the politically impossible which was to register a vote that would harm the image of Social Security. I further contend that inflation would be much greater if more money was flowing into tangible goods rather than paper investments and promises. For proof as to the real cost of inflation just look at the surging replacement cost resulting from recent storms and natural disasters. 1. Great economy but people can’t afford car payments? Maybe that makes sense in end-stage capitalism where the “economy” has nothing to do with real wages? Ahhh! 2. Car prices didn’t change suddenly. Why now? 3. Are people that spend $35k on a blinged-out grocery-getter REALLY so financially astute that they’re considering import tariffs on their 5-year car loans? I’m skeptical.